How is a market rate determined for a 457 / TSS visa? What is an Industrial Award? What is Guaranteed Annual Earnings? What if your GAE falls below the market rate? After doing thorough research and weighing the crucial factors involving your choices of countries to work as a skilled worker, you have come to the definite decision that Australia is the right place for you and the members of your family. The process proved arduous: each of your potential destinations offers pros and cons as well as benefits and disadvantages. But, in the end, Australia stands out among the rest, and it is where you are going to lodge your application for a skilled worker visa. Skilled workers like you who intend to work in the country might be eligible for a 457 or Temporary Skill Shortage Visa. After having decided to choose Australia as your next home away from your home, the next question that might pop up on your mind is this: How much am I supposed to receive for doing the kind of occupation my potential employer asks me to do? This article will not give you the exact figure, regarding the salary range of the occupation you are going to undertake here.What we will explain to you, however, is the process by which your salary rate is determined. First of all, it is a condition of a 457 / TSS visa that you will have to be paid for your work at a market rate, but the rate cannot be less than a TSMIT threshold which is set up by the government and amended from time to time. As of November 2017 threshold is set at $53.900. It’s been like that from 2013, so we may expect to have it amended soon. The first concept that we will always encounter when discussing salary here is the market rate. The Australian government demands that nominating employers provide proof that the salary they are offering to you is in accordance with the market rate. That means the employment terms and conditions being offered to you are at par with those being enjoyed by Australian citizens and permanent residents undertaking the same job that you are nominated to do and in the same location. This measure is undertaken to make sure you and other overseas workers are not exploited through substandard salary rates, long hours of work, leave entitlements, etc. The usual manner in establishing the market rate is by showing a live contract of an Australian citizen or permanent resident undertaking the same occupation in the same location you are nominated to work. The contract can be further verified by looking into the salary level of the workers of competing businesses in the same area. 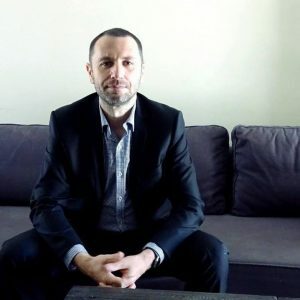 However, certain situations may arise that, due to the acute shortage of talent in an area, no Australian citizen or permanent resident can take on the role of the nominated occupation. In that case, how is a market rate determined? As an example, the Fair Work Ombudsman serves as a dependable reference to ensure that the prescribed employment conditions are provided. For salary rates, the employer can refer More information about expected salary range might be found on joboutlook or payscale websites. Nominated occupations salary could be under what we call an industrial award. If you are an engineer, for example, your occupation is governed by the relevant industrial award for your line of work. These industrial awards can determine the salary rate that you ought to receive as well as the other employment terms and conditions. The salary rate indicated in the industrial award where your occupation belongs is the minimum that you can expect to be paid. You can earn more than that. TSMIT, which stands for Temporary Skilled Migration Income Threshold, serves as another yardstick against which the market rate is measured. This is only applicable to 457 / TSS visa applications and it is required to ensure that you have enough income to support yourself and your family while you’re in the country. Permanent visas do not have this requirement imposed (as of November 2017), so proposed salary for RSMS visa or ENS visa might be less than $53.900 if that’s the standard rate for a particular occupation in the area. Currently, the amount set for TSMIT is AUD 53,900 per annum. 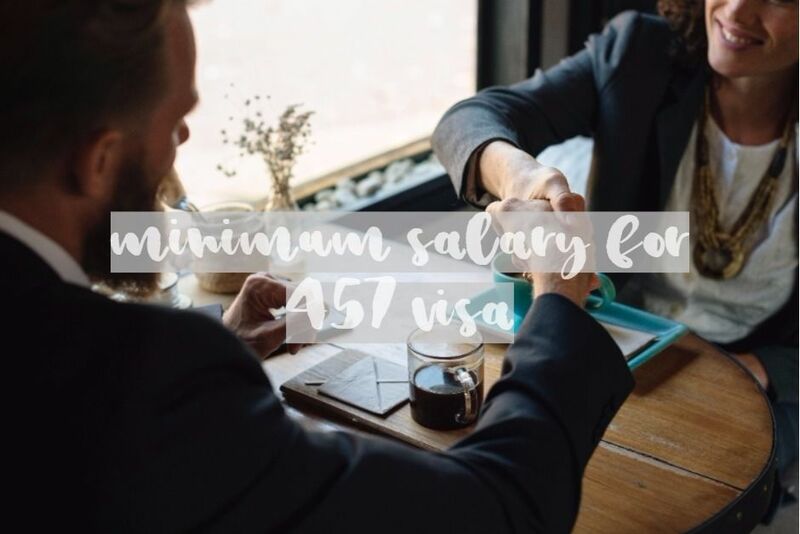 Needless to say, for your nominated occupation to be qualified for a subclass 457 visa, your sponsoring employer needs to prove that the market rate of their location in Australia for the role that you are nominated will be at least equal to the TSMIT. What have you noticed here? In this requirement, the Australian government is comparing the market salary rate for the nominated occupation versus the TSMIT and not against your actual salary. This means that if the market rate for the nominated occupation falls below the TSMIT, the role cannot be sponsored for a 457 visa. This means further that even if the proposed guaranteed salary per annum is above the market rate and the TSMIT, if the market rate is below the TSMIT, the role can’t still be sponsored, hence the 457 application should be refused. Here comes out experience. Dependant on the position-specific requirements it might be possible to pay an employee more than salary market rate if that person would have extensive or very specific experience. It’s the matter of pointing out all the factors in a nomination and visa application. We’ve been successful in such a scenarios, so if you need any assistance in the matter do not hesitate to give us a call to discuss. But there are employers who don’t like the idea of presenting evidence that their offer to their workers is in line with the current market rate. In that case, what they can do is “just to show” that their proposed annual earnings for you are at least AUD250,000.00, then they’re exempt from the requirement. Just make sure business is legit and position genuine. This brings us to the idea of guaranteed annual earnings or GAE. As the phrase connotes, GAE only includes those earnings that are guaranteed. The rule here is: your employer should provide proof of the Australian market salary rate for your nominated occupation and show that your GAE is equal or better than the market rate. Moreover, your employer should pay the prescribed GAE to you. Any payments which are made for you or on your behalf. One common example of these is your housing allowance which your employer covers for you and pays directly to your landlord. The monetary equivalent of non-cash benefits such as health insurance, car, phone, laptop and other perks. The key here is that you and your employer agree on the value of those items just mentioned. Any income that cannot be determined in advance such as commissions, incentives, bonuses, and overtime payments. But if the overtime payments are guaranteed, they form part of the GAE. Compulsory contributions for retirement or for the time when you leave your work. We think this scenario is a no-brainer. If it does happen, the logical consequence would be the nomination application is denied. The immigration officer handling your case may keep in touch with your prospective employer and inform them that this particular requirement has not been met. They then ask your sponsoring employer if they would withdraw their application or let the immigration department to turn it down. As always there are exceptions to the rule, but we won’t go through them in this article. There are still several ramifications involving this topic which we will not hash out right now. For this reason, we invite you to reach out to us, so we can have more time to discuss them thoroughly. It’s quite easy to get in touch with anyone of us at Nowak Migration. Our contact details are all listed here. Just choose any channel of communication most convenient to you. If you have comments, suggestions, and opinions about our topic, please don’t hesitate to share them with us in the comments box below. If you find this information useful please like Nowak Migration on Facebook and follow our YouTube channel. The salary for 457 visa holders 2017 is determined by a TSMIT threshold and a market salary rate. Check the article for more details.